The long-awaited December Fed rate hike finally happened – so what will it mean for stocks? You'll hear a lot of talk today about how raising interest rates will have a negative impact on companies. It will hurt those that borrowed a lot of money when interest rates were near 0% – as they are today. Since the Great Recession, companies mostly invested this borrowed money in financial assets like stocks and bonds. This wasn't what the Fed wanted. It wanted companies to use that money to invest in growth and pay employees more, so consumers have more money. But the economy wasn't growing much, so companies propped up the stock and bond markets instead, according to Money Morning Capital Wave Strategist Shah Gilani. "Corporations have leveraged themselves up with cheap borrowing to buy back their shares to lift their stock prices and their earnings per share metrics," Gilani said. When interest rates rise, companies saddled with debt will have to pay more interest on their loans. This shows up on earnings reports and looks bad for those companies' stocks. 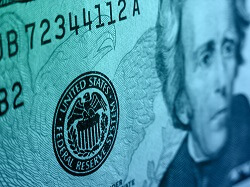 Another factor to consider: Higher interest rates cause the U.S. dollar to appreciate. This can depress multinational corporations' overseas earnings, which also leaves a nasty mark on earnings reports.